HINT: Use the transformation tools to translate, rotate, and reflect the triangles to explore your idea. 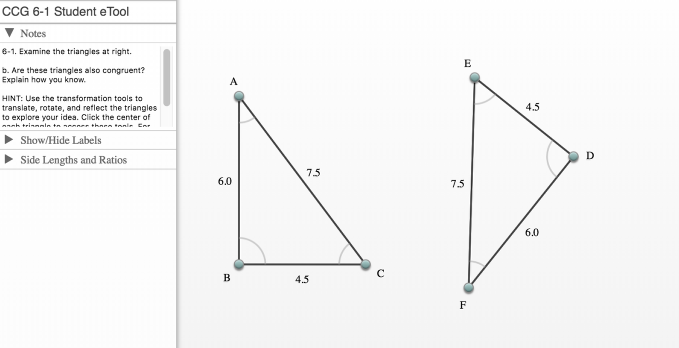 Click the center of each triangle to access these tools. For more directions, click the "?" icon above.